BY THE time you read this I will have enjoyed a Girlies’ Night In, with yours truly in charge of a wine-tasting challenge. Other entertainment was to be one Girlie playing tunes on her ukulele. My plan: To disguise all bottles in tin foil and to ask the Girlies questions, including guessing the grapes. I will have given tips beforehand, not least to stock up on hangover cures. So it feels timely to share some wine-tasting tips from award-winning Australian winemaker Neil McGuigan. I asked him what he’d say to people who feel a little embarrassed swirling and sniffing wine and if it really made any difference. On a red, what would be the sensory checklist? He tells me: “Before we start on senses, something to remember – if your wine is a screwcap, then you can be pretty sure that the wine is fresh. If it is a cork closure, you just need to be aware that cork can impart a character to the wine. It can be daunting if you want to discover wines. I asked how Neil would encourage someone to step out of their comfort zones. He says: “Consumers must be confident in their own palate. 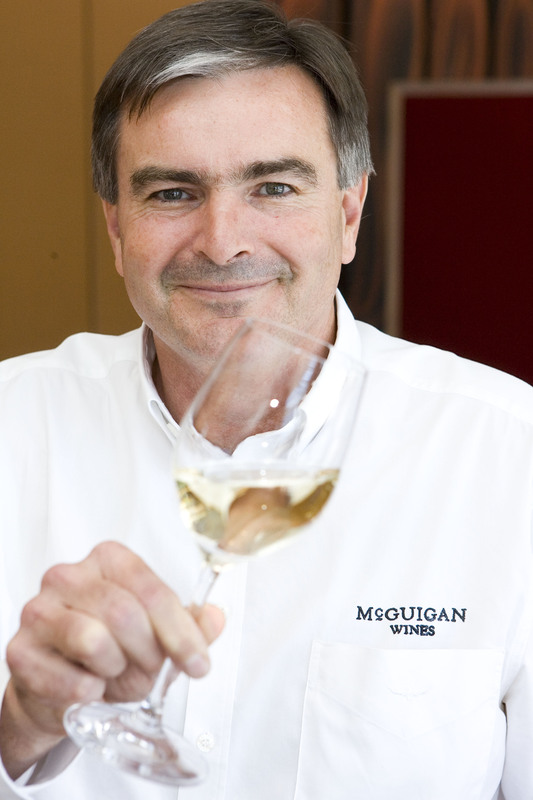 McGuigan Wines come from the Hunter Valley, which Neil says is “a unique grape growing area – in my opinion it makes the best wines in the world”. But I asked him what sets grapes grown in Australia apart from others grown in France say, or elsewhere in the New World. Neil says he is excited about new things at McGuigan; embracing new varieties and making fresher whites and more voluptuous reds. But have our wine tastes changed? He says: “It is constantly evolving and we evolve our wines to suit this change. Chardonnay is the prince of white grape varieties. Australia lost focus on flavoursome but refreshing Chardonnay, but now we have got that right. McGuigan is giving people the chance to win a trip to Oz and enjoy lunch cooked by John Torode. try this wine last weekend. We have lighter nights; it feels like summer and happy outdoor days are on the way. This deep pink wine is a blend of four grapes from across Italy and has fruitburst aromas of squidgy ripe raspberries and cherry sauce, with juicy strawberries to taste. Yum. The tasting tips are good advice Jane but how was your head this morning?